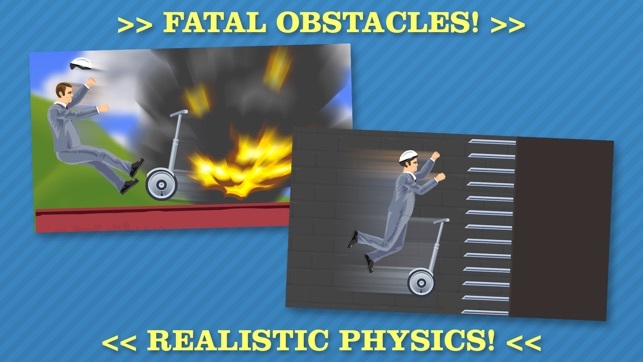 Now play as Effective Shopper on an electric shopping cart, Wheelchair Guy on a jet-powered wheelchair, Irresponsible Dad and his son on a bicycle, or as Business Guy on a personal transporter. New levels 11-15 for Effective Shopper! Warning, they are very difficult. I love the game itself, easy controls, and it has a fun concept. There are a few things I’d change though. 2. The level maker is hard, especially on an iPad, iPhone, Kindle, etc. I’d love if it wasn’t so hard. The layout seems a bit weird, and it’s hard to make levels. 3. 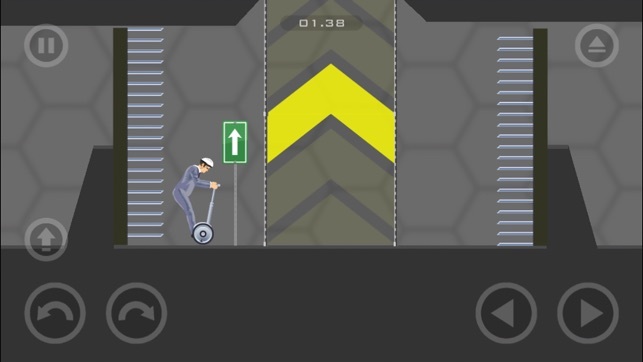 I wish you could play fan made levels on the app, and you didn’t have to go to a website, and use a computer. 4. I want more settings! There are very little things you can change, and there are very little settings. It’d be nice to maybe have other ways to operate your controls, like if you were left handed or something. There are other things that you could add in settings to make it easier for each player. 5. Too many adds. I get that you need adds to run the game, but maybe not so many. I get you can pay to remove them, but 1.99 seems like a big price to pay for so many adds. Not a big deal, but it’s just something that gets on my nerve after a while. 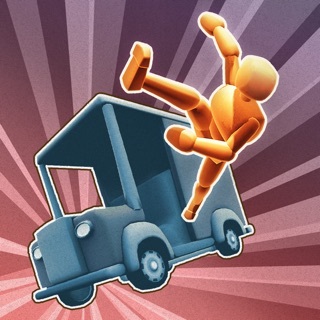 This game is great, and I’d definitely recommend getting it. It runs smoothly, but I feel like there’s a lot to be added before it hits its max potential. - Ads: every 4 or 5 tries I get an ad, or when I change the level I’m playing. And if I’m offline, they say “loading ad” and make me wait 8 to 9 seconds; and although it seems like not much, it is very annoying because of the amount of times they do it. 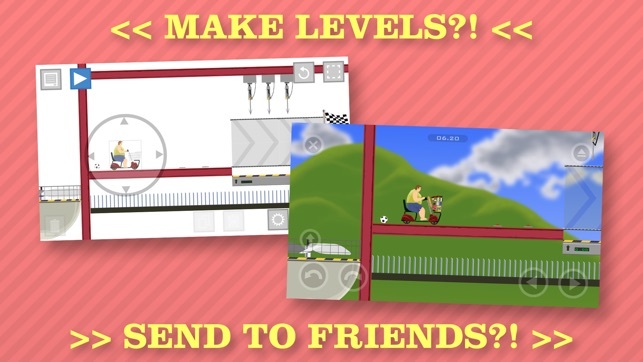 - Levels: there aren’t that many levels, and in the place where you can make your own level, there isn’t even a quarter of stuff and obstacles that the creators use for the levels that they created. And for pogo stick guy they kept on saying “coming soon” for over two years! - Characters: the fact that there are only 6 characters is annoying because if there was like, a guy on a helicopter with limited fuel or some guy in a car it would be amazing! 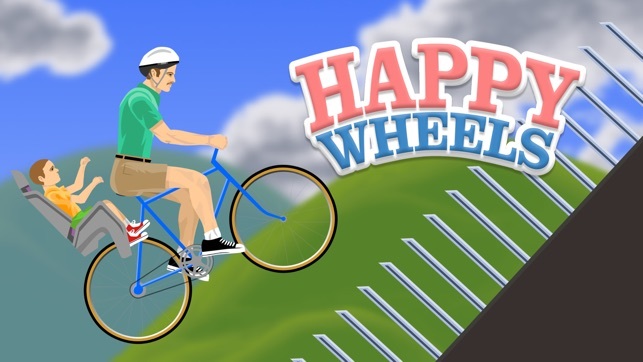 So please fix these things and happy wheels would be my #1 game to play.